Continuing education is important when looking for a top dentist. 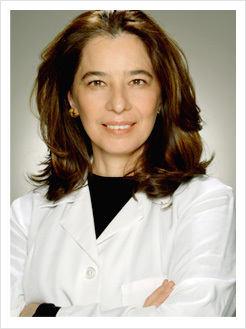 Below we have listed the top continuing education courses taken by Dr. Martha Cortes, DDS. A 3 day intense course on how to diagnose and determine bite or occlusal disease. The relationship of the body and the bite, the muscles of the head and neck to the teeth. This is the introductory course into how to correctly find the proper bite and recognize complications before they arise. This six-day intense course features live-patient treatment where the dentist will bring their own patients to the institute. Recommended cases include 8-10 units of porcelain veneers/crowns or a combination of both for a smile design. These cases are completed under the guidance of a clinical instructor. This intense, hands-on, live-patient treatment program concentrates on developing a critical eye for aesthetic excellence. The dentist will not only benefit from personal instruction on their own case, but they will view and help diagnose over 300 restorative units from the other attendees. Excellence in aesthetic restorations can be achieved simply and predictably when the dentist knows what to do and how to do it. Many times dentists mix wrong materials, use the wrong type of crown or restoration when there are better more conservative approaches available. This is a four-day, live-patient treatment course where the dentist will bring their own patients to the institute, in the conservative restoration of back teeth using the latest aesthetic materials that are placed in functional harmony. Direct and indirect restorations, materials science/choices and the principles of adhesion are covered in depth. Dentists will learn how they can provide exceptional aesthetic restorative dentistry without sensitivity that will benefit their patients and fill them with pride. This course teaches the dentists how to perfect their bite taking technique this course enhances their knowledge of TMD dentistry as it relates to aesthetic dentistry. The curriculum will lead dentists to the ultimate goal of effectively treating patients predictably and conservatively through muscle physiology and neurophysiology. The scientific principles and clinical use of EMG, CMS, ESG and Jaw Tracking will be investigated and understood. • Define best practices in the use of good occlusal techniques in preparing a patient for restorative care. This six-day, live-patient treatment program where the dentists will bring their own patients for treatment will show dentists the initial aspect of doing a smile makeover. They will handle more complex cases (bruxers, restoring vertical dimension, restoring severely dark teeth without black lines around the gums, creating life like, natural looking bridges, etc.) treating function as well as aesthetics. Perhaps the most important aspect of the program is, understanding why cases succeeded, and why they fail and how to prevent that failure before it happens. Dentists leave with an understanding of why so many people need this type of treatment. Fine tune their skills and take their cases from good to outstanding. The dentist will be given the knowledge and tools to adjust occlusion to microns, rather than millimeters. This is an absolute must program for any dentist managing aesthetic and complex occlusal cases. This is an intense 3 day course on using Computerized Jaw Tracking and reading the tension of the muscles of the head and neck and sonography of the TMJ by the TMD treating dentists. This course will allow the dentists to better understand and diagnose patients with TMJ issues. This three-day program delivers state-of-the-art education which will enable the clinician to gain knowledge and confidence in dental implant treatment planning, patient work-ups, and basic to advanced surgical and restorative techniques. This course offers a unique approach in that the treatment plan is derived from the occlusion down to the bone, and not from the bone up to the occlusion. After completing this course you will gain the confidence in an implant protocol that allows you to place and restore implants easily and predictably, with long-term clinical success. This course helps the dentists develop a practice that incorporates Laser technology for restorative and hygiene procedures. This two-day program is designed for both the Doctor and Team. The dentists will learn to implement this new technology in various applications safely and effectively and acquire skills by working hands-on with live patients. This seminar is the gateway to a proven path of clinical and professional excellence. As the foundational seminar in the “Concept of Complete DentistryTM Series,” the will learn the timeless message that good dentistry, aesthetic dentistry, complete dentistry must begin with a thorough understanding of occlusion and the functions of the masticatory system. A comprehensive understanding of how the TM joint, muscles, proprioceptive input, lower anterior teeth, upper anterior teeth, lower posterior teeth and upper posterior teeth are designed to function in harmony with one another is the cornerstone of the Dawson philosophy. Each student will learn to produce beautiful, functionally correct restorative dentistry in an efficient, predictable and profitable fashion. This course will provide the participant with the necessary information to solve complex dental problems. A programmed approach to treatment planning will be presented so that each student will learn how to solve the 4 functional and 12 aesthetic goals when given any set of circumstances. Extreme occlusal wear, anterior open bites, deep overbites, extreme overjet and Class III malocclusions will be discussed. Neutral zone and vertical dimension will be covered in detail as it pertains to the treatment of the above problems. Special emphasis will be placed on best restorative options, and when orthodontic/orthognathic alternatives should be considered. Each participant will learn how and when to open the vertical dimension of occlusion and when it should not be opened. A programmed approach to full mouth reconstruction, whether it is teeth, dental implants, precision attachment partials or a combination, will be a cornerstone of this program. This course is designed to focus on the four essential components in the decision making process: aesthetics, function, periodontology and biomechanics. An evidenced based scientific approach to risk management will be developed to create more predictable outcomes from treatment. Understanding the role occlusion plays relating to wear, mobility, TMD, stability, and restorative failure is critical. By focusing on diagnosis, the practitioner will be able to develop the parameters to create more successful restorative results and know when complex treatment may not be necessary. This course will also provide a hands-on workshop for bite management and jaw relation records following deprogramming. To present natures Biologic Model of Occlusion for optimum dental health, beauty, and function. To present the Principles of Bioesthetic Dentistry. To show you Ultra-healthy, Functional and Aesthetic Natural Dentitions of patients of all ages. To present the OBI methodology for diagnosis and treatment planning. To demonstrate Bioesthetic Dentistry at work in everyday practice through clinical cases, from simple to complex. To validate how aesthetics and function inter-relate to achieve the best result for our patients. This is part 2 of a 4 part series of courses. This “hands-on” clinical workshop will teach procedures and instrumentation necessary for a dynamic relational study of the teeth and TM joints. The objective is to help dentists become capable of making dependable, comprehensive, three-dimensional dentognathic diagnoses before treating functional and aesthetic problems. This is the beginners program for cosmetic dentistry with the Rosenthal Institute. This is a hands on live patient program where the dentists will bring their own patients and will perform smile design on complicated cases using the Rosenthal Techniques. This dentist spends most of his time training other dentists in the art of Cosmetic Dentistry. This means to you that you are being treated by someone who is one of the leaders in this field. This is a live patient treatment course for the dentists to learn techniques in IV sedation for patients who are fearful and those who need extensive dental treatment and have phobias. There are very few dentists in the US that have this type of a training, which makes this dentists services and qualifications very unique. This is a training course in the use of invisalign and certification. Only Invisalign Certified Dentists are allowed to perform this procedure to make sure the quality of care is provided. These are courses in Neuromuscular Dentistry, Scan Interpretation, and advanced orthopedics to aid the dentists to deal with complicated cases and patients who suffer from TMJ. This means to you that this dentist is dedicated to learning the latest advances in the field of TMJ therapy. Dr. Weiser is an internationally recognized lecturer on the use of Lasers in dentistry. He has been teaching his techniques to dentists from across the world for the past 5 years. This means to you that Dr. Weiser not only is dedicated to learning and excellence but also he teaches his unique techniques to other dentists. It is designed for both the Dentist and the Chiropractor/Structural Practitioner. Here we cover the main concepts involved in Chirodontics® diagnosis and treatment. Postural assessment is covered in lecture as well as workshops. Chirodontics® One is also an excellent introduction to Cranial-Dental Orthopaedics. Cranial anatomy and the various cranial distortion patterns are discussed and you will learn some basic cranial releases in a hands-on cranial workshop. In this course, we also learn the Dental strategies for diagnosing and correcting these distortions, and how to incorporate these strategies into an efficient Chiro-Dental team syntax. THIS COURSE TEACHES THE DENTISTS THE RELATIONSHIP OF THE BODY, TEETH, TMJ, TO ONE ANOTHER WHICH IS NOT ONLY USEFUL IN TREATING TMJ ISSUES BUT ALSO FOR SUCCESS FOR SIMPLE FILLINGS. In Chirodontics® Dental Techniques, we learn all the aspects of the Dental Syntax in detail. TMJ analysis and various treatment strategies are thoroughly explored. This section includes the latest in computer diagnostic testing procedures and how to take the 5 different mandibular bite registrations for various conditions and appliances. AccuLiner® maxillary Facebow mounting and Tri-Planer Analysis is covered in detail as well as Radiographic Tri-Planer techniques. This allows the practitioner to determine whether a distortion is “Skeletal”, “Cranial” or “Dental” in nature. We will also cover the common difficulties in transitioning through the Chirodontic® phases of care. “Light-wire Appliances” are a very useful tool in Cranial Orthopaedics, and we will teach when and how to use these appliances from a “Cranially Driven” perspective. Finally, you will learn various techniques to help “finish” your cases quickly and efficiently, maintaining the cranial correction and neuro-muscular function you worked so hard to achieve. THIS IS A HIGH LEVEL TRAINING IN ORTHODONTICS/TMJ therapy. In “Chirodontic Cranial Techniques”, Dr. walker will teach more specific diagnosis of difficult cranial patterns and their manual corrections. He will cover Infant Cranial Manipulation, Respiratory Tri-Planer Corrections, and Cranial Trauma Patterns. Cranial nerve Examinations and Headache differential diagnosis will also be taught. Advanced diagnosis using kinesiological “flow charting” will be explored to determine the nature and correction priorities of these cranial patterns. This course is primarily a cranial manipulation workshop and not to be missed! THIS DENTIST HAS HIGH LEVEL TRAINING IN TREATING TMJ DISEASE VIA USAGE OF ORTHOPEDIC ROUTES WHICH ARE NOT TAUGHT IN MOST TRAINING. In this 3 day seminar Dr Walker explores the nutritional needs of the patient, with an emphasis on pain control, soft tissue and joint healing and total health strategies. By understanding how the body actually works, we can apply this knowledge to maximize our clinical outcomes. TAKING THIS COURSE ALLOWS THIS DENTIST TO LOOK AT THE PATIENT AS A WHOLE IN TREATING TMJ DISEASE AND SHOWS A HIGH LEVEL OF EXCELLENCE BY THIS DENTIST. This is a comprehensive 2 day, advanced hands on course in the use of Cerec (same day crowns or inlays or onlays and avoiding need to take mold of the mouth). These are various courses that the doctor has taken in different areas of expertise. This shows his dedication to excellence. To maintain a dental license a dentist is required to take 25 hours of continuing education per year. This shows how many more courses that the doctor has taken above and beyond what an average dentist would take. This proves that he is a well rounded dentist with expertise in many different areas of expertise.